Published on November 17, 2014 in Christmas self catering and Self catering holidays. Closed Tags: Christmas, Seasonal. The true home of Christmas markets, millions flock to holiday in Germany in December to indulge in Glühwein (hot mulled wine), Gebrannte Mandeln (toasted almonds) and Lebkuchen (a type of Christmas cookie made of gingerbread). The most famous Christmas markets can be found to the south of the country in cities such as Augsburg, Stuttgart and Frankfurt, while the capital city of Berlin and major city of Munich are also home to some fantastic, traditional markets. However, the best Christmas market in Germany can be found in the city of Nuremberg. The world-famous Christkindlesmarkt Christmas Market in Nuremberg takes place in the central square of the city’s old town and receives around 2 million visitors a year. The city looks truly beautiful during the festive season and a visit to the market is an absolute must during your stay in Nuremburg so be sure to get yourself a Nuremberg sausage and make the most of your country cottage holiday in Bavaria. The country with the oldest Christmas market in Europe, France is home to two particularly special market cities: Strasbourg in the east and Angers, towards the southwest of Paris. The Christmas market in Angers is fantastic for food and drink lovers, as you can enjoy some vin chaud (hot mulled wine) and pommes d’amour (toffee apples) while you scour the numerous boutiques in search of those perfect presents for your family and friends. If you are looking for somewhere romantic to take your partner then look no further than the oldest Christmas market in Europe, the Christkindelsmärik in the capital of Alsace, Strasbourg. Dating back to 1570 the market is located in a truly spectacular location where you and your loved one can enjoy romantic strolls along the cobbled streets. Have a look at our selection of cottages in France and look forward to a magical Christmas this winter. Austria is the home of Gemütlichkeit, the warm, cosy feeling you get from sitting around the fire with those you hold dearest to you, and there is no better example of this than at the Christmas markets in Innsbruck, the capital city of Tyrol in western Austria. 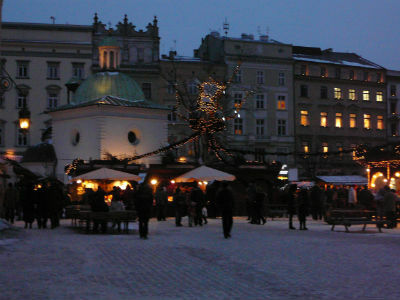 In total there are four different Christmas markets in the city but the most romantic one can be found in the old town. There you can your partner can listen to the trumpeters playing Christmas carols while you feast on the various local foods such as Kiachln, hot doughnuts served with cranberry sauce. The market in the city’s main square is the better option for families travelling with young children, as there is a petting zoo and a carousel for the kids while the parents can find some real treats in the various stalls. Stay in a holiday apartment or cottage in this picturesque city and treat your loved ones to the Christmas holiday of a lifetime. Holidays abroad at this time of year can get very expensive indeed but we are lucky enough to have some fantastic Christmas markets located on these very shores. Big cities like London, Manchester and Birmingham have all taken inspiration from their European counterparts and offer visitors similar experiences to what they would have encountered had they jetted off to France, Germany or Austria. 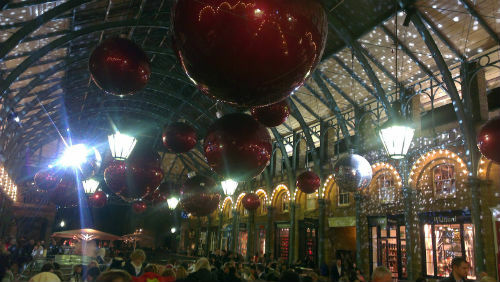 Christmas markets in this country used to be very popular until they were banned by Oliver Cromwell in the 17th century and all of the markets died out. Lincoln in the East of England was the first English city to re-start their original Christmas market so head there if you are looking for a truly ‘English’ Christmas market experience. Browse through our range of holiday cottages in England and find somewhere perfect to celebrate the festive season with you and your family. Who needs Nuremburg when you have Lincoln?